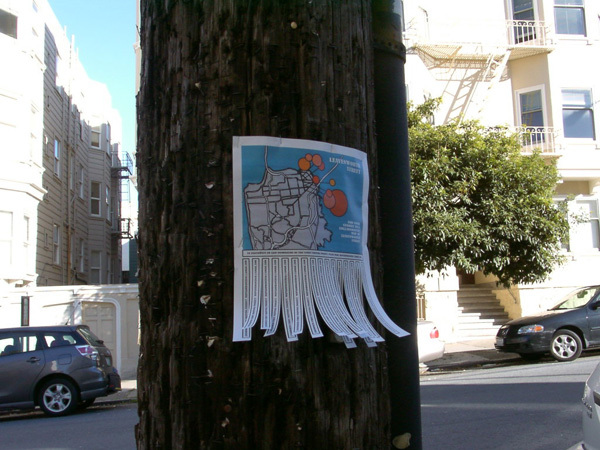 Multi-media temporary installation, multiple locations on Leavenworth Street, San Francisco, 2008. 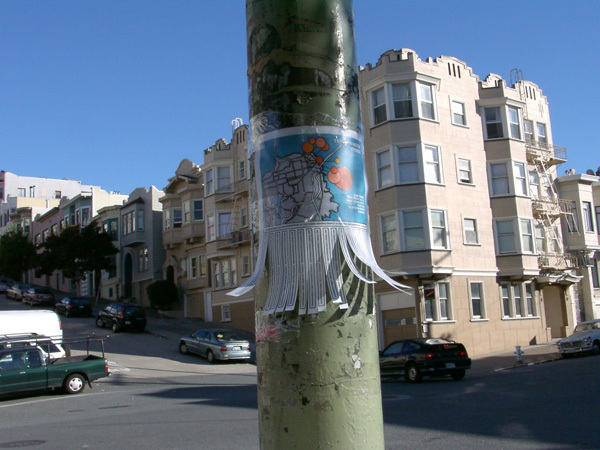 Exhibited in group show Free Rides, Swell Gallery, San Francisco, 2008. 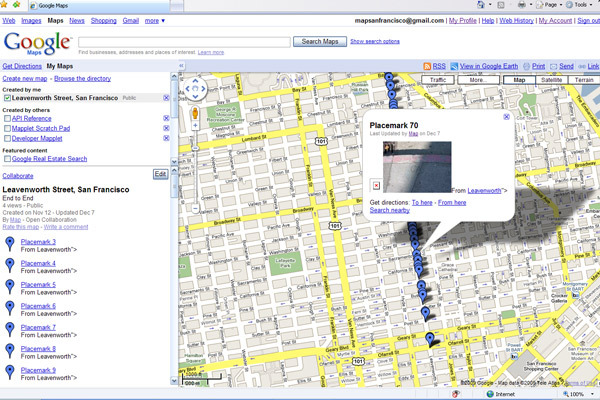 An interactive community mapping project sited online and on the street October - November 2008. 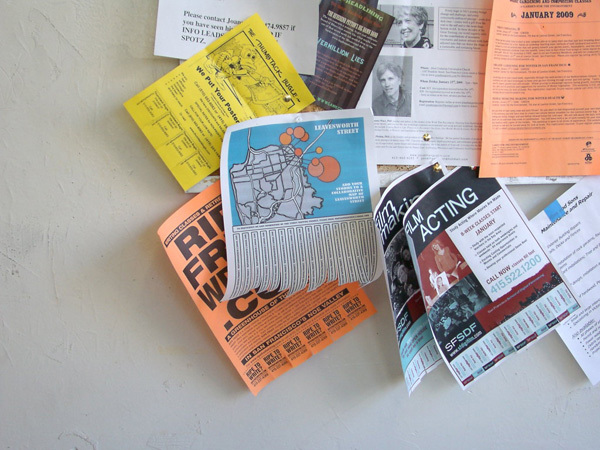 Posters and flyers invited community members to participate in a collective map of their community using the "My Maps" function of google maps.